Interested in learning more about Obedience and Protection training from the best? BARWALT TOOL COMPANY, 5171 East Seltice Way, Post Falls, Idaho. Dean Calderon will be working with 10 dogs, 2 dobermans and 8 GSDs, three of which are worked by handlers that compete nationally and internationally. Each day he will be working with all dogs in both disciplines. The cost is $50 for both days as a spectator. Check out the brochure for more information! Posted on March 8, 2011 Categories News, TrainingLeave a comment on Interested in learning more about Obedience and Protection training from the best? Do you have a great photo of your pooch? Enter the Bonner County Daily Bee’s Pet Pic’s Voting Contest that has cash prizes for the winners! Follow the link to look at entries or to upload your own photo. You must be a Bonner County resident and have your photo in by 5:00pm Feb. 22. 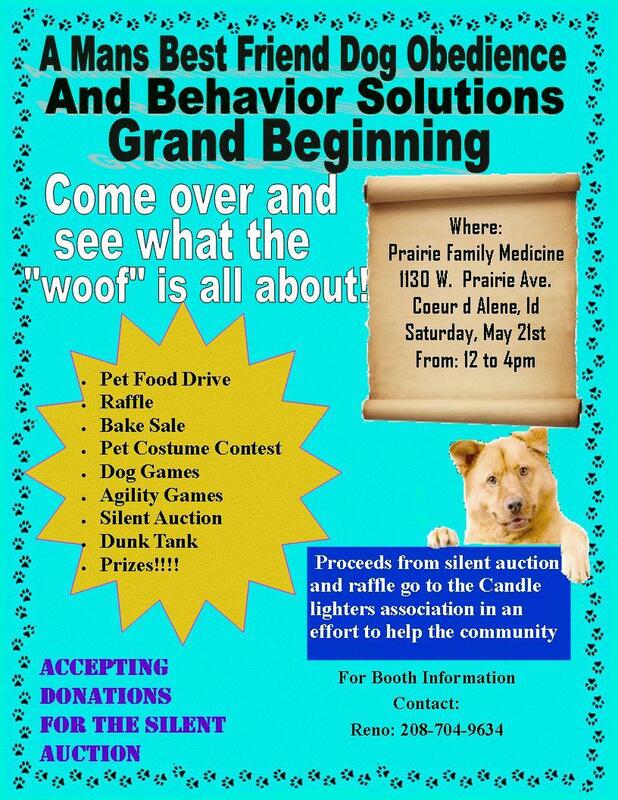 There is a $10 fee but don’t worry, a portion of the proceeds go to Panhandle Animal Shelter. Cast your votes for the best Canis Film Festival Films! You can go to their website to see the top 5 videos and vote on the best! Posted on February 17, 2011 Categories NewsLeave a comment on Cast your votes for the best Canis Film Festival Films! Race to the Sky Begins! “Montana’s premier winter sporting event is the Race to the Sky. Celebrating our twenty-fifth year, we are recognized as one of the most challenging and beautiful sled dog races in the world. It is an unusual test of physical power, mental toughness, teamwork, and the special bond between man and animal. Working together, they negotiate the trail through Montana’s scenic Rocky Mountains.” A Montana Tradition… Check out their great website here. Posted on February 12, 2011 Categories NewsLeave a comment on Race to the Sky Begins! Are you going to a Westminster Dog Show party? Click here to watch a video by Reuters on the Westminster! Click here to go to the Westminster Kennel Club website. Make a comment if you know of any other parties! 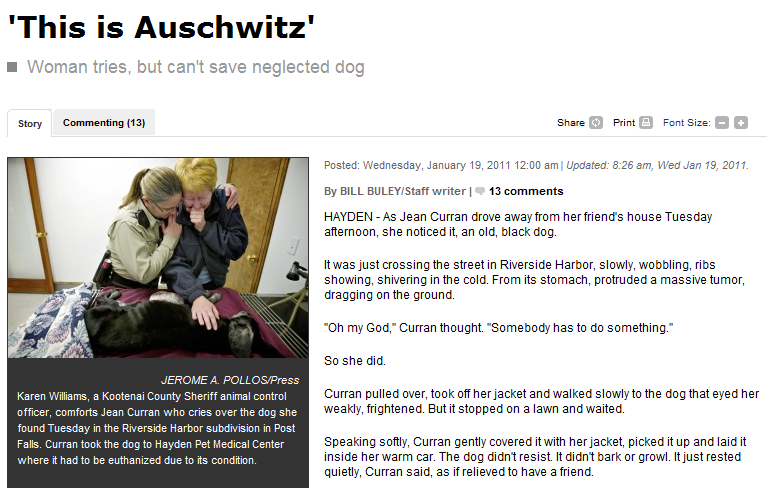 Posted on February 10, 2011 Categories News, ShelterLeave a comment on Are you going to a Westminster Dog Show party? Dog Park in downtown Cd’A? Place your votes! The McEuen Park is holding a survey and question 23 out of 24 asks your opinion on adding a dog park near the base of Tubbs Hill. Go here to complete the survey. Posted on January 24, 2011 Categories NewsLeave a comment on Dog Park in downtown Cd’A? Place your votes! The dog in the photo was found with a massive tumor, ribs showing and painfully long nails. She didn’t drive by this poor dog but stopped and did all she could for this dog. For the full story please go to Cd’A Press. 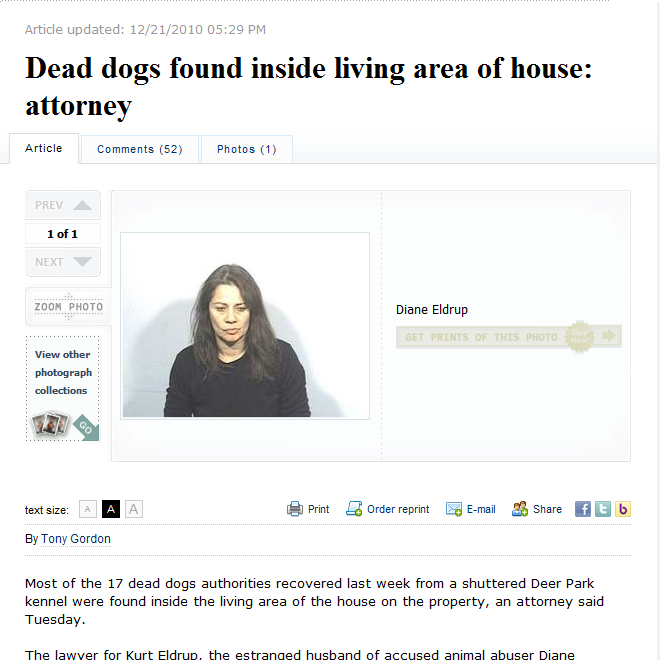 In Deer Park 17 dogs were found dead at a rescue called Muddy Paws. Take a look at this article for more information. Search Dog North Idaho in the Daily Bee! 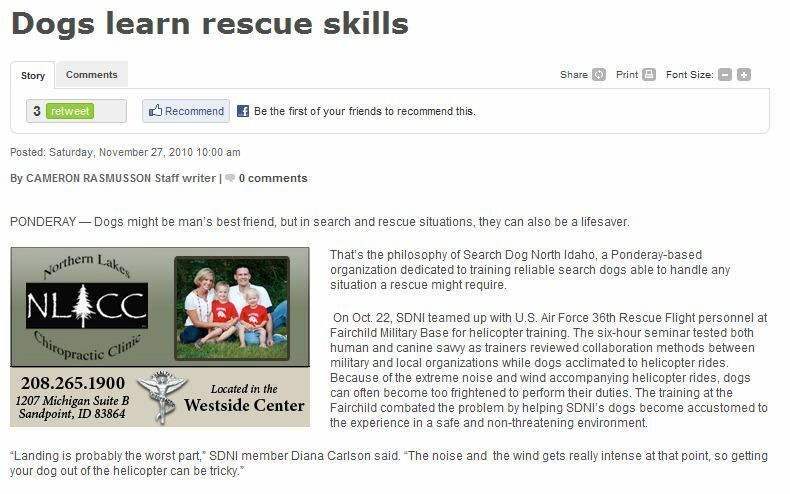 Check out the article on Search Dog North Idaho here! Posted on December 1, 2010 Categories NewsLeave a comment on Search Dog North Idaho in the Daily Bee!